The pump price of petrol is now at its highest level in two years. According to weekly figures from the Department for Business Energy and Industrial Strategy the average price in the UK is currently 117.9p per litre. The last time it was at these levels was back in December 2014. 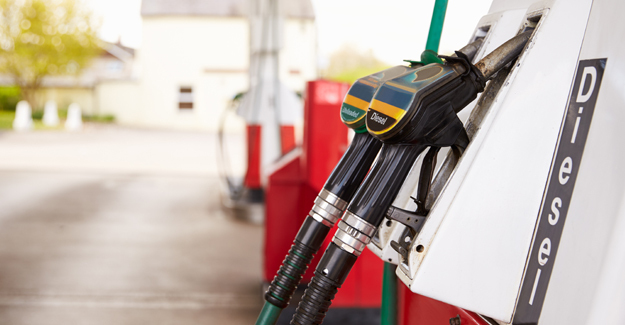 The average price of diesel is 120.35p per litre, an 18-month high. RAC Foundation analysis shows that the cost of filling an average car is now £11 higher for diesel and £9 higher for petrol than at the 12-month low point for pump prices which was recorded in early February last year. “For the seventeen million people or so who commute by car the return to work will have come with a nasty surprise. With pump prices up again, the cost of an average tank of fuel is around £10 more today than it was a year ago. The rise in pump prices partly reflects of a jump in the cost of oil which for Brent crude has jumped from around $26 a barrel in January 2016 to $55 now.